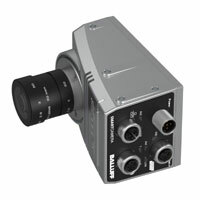 SmartCameras from Balluff are the right choice when many different and demanding tasks need to be solved quickly and flexibly in industrial automation using specific tools. With two new cameras - the SmartCamera Color and the SmartCamera Ident the sensor specialist and systems provider Balluff has expanded their existing image processing portfolio with interesting problem solvers. True to the motto "Image processing for everyone" the user can now use the SmartCamera Color to analyze color shades, brightnesses and color saturations simply using a convenient analysis tool. It enables early detection of production errors during the manufacturing process. In addition to the quality control of objects it supports the positioning of robots. The SmartCamera Ident is especially designed for traceability applications and offers the corresponding analysis tools for code or text reading and identification. The target groups for all SmartCameras are users who are not necessarily familiar with imagine processing on a daily basis: a simple, intuitive user interface, flexible adaptation to the automation environment, and the use of industry standards makes the work easier. A clever interface concept ensures flexible and targeted linking to the production environment. The integrated IO-Link master makes it easy to connect additional IO-Link devices, sensors and actuators. All the tools are based on the HALCON library from MVTec Software GmbH. A CMOS sensor chip with a resolution of 1.3 MP makes the images ready and available for analysis quickly and reliably. The user can also access other stored images whenever desired. The SmartCamera stores up to 100 inspection programs, and comprehensive importing and exporting functionalities with training images represent valuable features. Balluff supplies the SmartCamera as a complete package – all the software library, manuals and online help are already integrated into the unit. "Turn it on, configure and go" just about sums it up. In Configuration mode he creates or modifies inspection programs. In Monitor mode the inspection program runs continuously, with results made available on selected outputs or sent to the PLC or a host computer in the form of so-called results packets. In Statistics mode the user can have the global yield rate and statistics values for individual result parameters represented. The new SmartCameras are available with Gigabit Ethernet, PROFINET or EtherNet/IP interface. The rugged housing, easy mounting options, standardized M12 connector and C-mount lens mount round out this versatile problem-solver.